Among the contemporary economists who have given the greatest attention to poverty and deprivation, Amartya Sen and Jean Dreze are particularly outstanding. Their research on well-being, quality of life, and hunger set a standard for the point of view that says that life quality and deprivation need to be at the top of the list of economic research goals. Here I'm thinking of books like Inequality Reexamined, Poverty and Famines: An Essay on Entitlement and Deprivation, and Hunger and Public Action. The neoclassical free market purists stand at the other end of the garden. The economists of the Chicago School put primary emphasis on the beneficent effects of untrammeled market behavior, and they give little attention to the "market imperfections" that poverty and deprivation represent. (The word "poverty" does not occur in the index of John Van Overtveldt's good intellectual history of the Chicago School, The Chicago School: How the University of Chicago Assembled the Thinkers Who Revolutionized Economics and Business.) Poverty seems to be viewed as a normal and fair result of the workings of market institutions: some people make large contributions and earn high income, and others make small or zero contributions and earn low income. The closing chapter of Milton Friedman's Capitalism and Freedom is entitled "The Alleviation of Poverty." Here Friedman admits that poverty is a problem, but conceives of only two solutions: private charity (which he agrees will not work in a large complex society) and direct transfers from tax revenues to payments to the poor (which is limited by the willingness of citizens to provide taxes for this purpose). The mechanism he prefers is a negative income tax: persons with incomes below a given threshold would receive payments determined by their income levels. "In this way, it would be possible to set a floor below which no man's net income (defined now to include the subsidy) could fall" (192). What this analysis leaves out is any consideration of the economic mechanisms that produce poverty within an affluent society, and how institutions could be adjusted so that poverty and inequality tended to fall over time as a consequence of the normal workings of economic institutions. Take race in America, for example -- a set of institutions that many observers see as being crucial mechanisms in the production of urban poverty. Writing in 1962, Friedman argues that racial discrimination in employment is essentially impossible within a competitive market system (link). But we now understand the geography and social structuring of poverty much better. Racial segregation in housing has not disappeared; it has only worsened. Low-quality and ineffective schools are concentrated in low-income and racially segregated neighborhoods, so poor people have reduced educational opportunities. Access to jobs is also constrained by geography and educational opportunity. 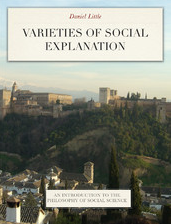 (Here is a recent post on the mechanisms of racial disparities; link). So it seems clear that our economy systematically reproduces poverty in inner cities rather than reducing it. And the situation of rural poverty is not substantially better. So the idea that a properly functioning market economy will tend to reduce poverty and narrow the extremes of income inequality has been historically refuted -- at least in the case of American capitalism. I don’t at all see how the thesis of “a properly functioning market economy tending to reduce poverty and income inequality” has been refuted by circumstantial evidence in the American case. For one, as many able defenders of the free enterprise economic system will and have indeed pointed out again and again is that the United States has been very far from paragon of a laissez-faire economic system. Indeed, especially and increasingly since the New Deal of the 1930s, the US economy has been subjected to repeated waves of new and additional controls and regulations, higher taxation and greater government spending nowadays financed primarily through Fed’s assisted budget deficits. The free-marketeers have repeatedly argued that the reasons for lingering poverty and increased inequality must be blamed on interventionism rather than on capitalism running amok and that things would have gotten worse if not for the pockets of economic freedom still alive in the US. I don’t have my copy of C&F handy, but I would be very surprised if Friedman does not mention the greatest potential of the free market to alleviate poverty—its unmatched capacity to create conditions and coordinate actions of millions of diverse consumers and business firms towards continuously increasing productivity of labor. Even Marx acknowledged capitalism’s stupendous powers not only to create wealth in aggregate but spread it wide and deep, as the phenomenon of mass markets in product after product and in country after country sufficiently demonstrates. Furthermore, it should be relatively uncontroversial that neither private charity nor government transfers nor similar attempts at redistribution are adequate means to alleviate poverty. But I do remember the last time I read Friedman that his case for capitalism’s power to alleviate poverty was squarely informed by the conceptual and analytical apparatus of neoclassical economics. It is certainly true, and has been acknowledged by many of its eminent members, that NE is appallingly incapable of analyzing even such crucial dynamic problems as determinants of economic growth, let alone income distribution. So, attacking Friedman’s weak theoretical apparatus is a fair game, but I don’t think that just because we have seen rising poverty and increasing inequality this is somehow a proof that the “free market”, i.e. economic freedom in selling/buying as well as in hiring/firing, tends to produce poverty and inequality if left unchecked. Clearly, there is something awfully wrong with our societies and economies and we need a better understanding of why so many people still depend on private and/or government handouts and that there are fewer and fewer high-paying jobs to go around. Maybe a greater emphasis in economists’ education should be placed on better understanding of the conditions that generate jobs with wages that have high and rising purchasing power. I certainly hope so. Wlad, thanks. If the idea is that a pure LF economy -- which has essentially never existed -- would have very different poverty and distributive characteristics, I'm inclined to say that we have to be concerned with actually existing economies. And if the idealized theory does such a bad job of modeling the behavior of the actual economy then why should we attach any weight to the ideal theory? Also, the US economy is much closer to LF than the social democracies of Europe, and its poverty and distribution characteristics are worse. So that seems to imply the theory is once again a bad guide to poverty alleviation. I am thinking about the poverty that exists in the Islam/Arab world in comparison to what exists in liberal democracies. Islam relies on private charity to alleviate poverty, which Milton Friedman rightly observed does not work for large complex societies. To fight poverty you need a broad based economy, which the Islam/Arab world does not have. This is the fifth anniversary of the financial crises of 2008. If a true laissez-faire economy really existed in the US, then, the aftermath of that crisis would have resulted in greater amounts of poverty, unprecedented in modern times. But as it happened, economic mechanisms, socially constructed, were implemented to offset the large increases in poverty that would have otherwise emerged. So in that perspective I would say that for the most part economics has done its job in addressing poverty. I really never understood the difference between Economics and Political Economics until now. Economics, fundamentally, is not interested in combating poverty. Political Economics is. I am thinking of the Islam/Arab world where Political Economics has never been practiced. Poverty is a major issue there. And this is a major reason for the social upheaval and turmoil that exists there today. If political parties existed and had had a roll in fashioning economic policy in Egypt and Syria, then, I suggest, the unprecedented turmoil that exists there today would not exist. I think the Chicago focus on wealth is justified because wealth must have causes, whereas poverty is just the natural state of mankind. We were all very poor before some of us were able to become rich. It is that which needs explanation, not the poverty that too often surrounds us. That we so often take wealth to be a baseline and poverty to be abnormal in some way is a sign of how powerful free market institutions have transformed society (albeit unevenly). "So the idea that a properly functioning market economy will tend to reduce poverty and narrow the extremes of income inequality has been historically refuted -- at least in the case of American capitalism." There are two things wrong with this line. First, I don't recall any theory that a properly functioning market economy will tend to narrow the extremes of income inequality. 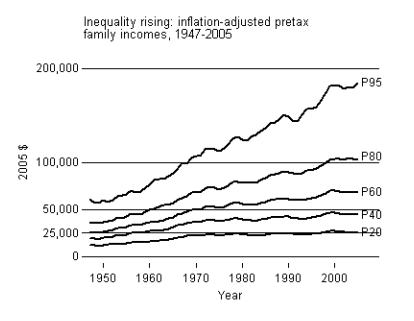 Second, and much more important, American capitalism (with all its limitations) has indeed reduced poverty. If "poverty" is defined consistently, rather than being redefined ever-upward, it has almost been eliminated in the United States (there are exceptions among the mentally ill). People at today's "poverty line" live like the upper middle class of a century ago - better, in fact. True poverty is rare indeed: no-one capable of begging need starve in America, with 1,500 calories costing only a few dollars at any fast food restaurant; indeed, we are the first nation in history where obesity is common among the (relatively) poor. If you think Americans are poor (in any numbers) you really need to get out into the world. It's not just America, either: every society that establishes the institutions that are required for free (and reasonably honest) markets to function, has seen poverty fall and wealth rise dramatically. We already know the solution to poverty: well-functioning (yes, well-regulated) free markets. Income inequality is another story. There is an old saying something like this: "When your neighbor loses his house you say we are in a recession, when you lose your house you say we are in a depression." This sentence can also be applied to poverty. For those with enough money to live the high quality of life they desire there is no poverty in America. For those that scrape out a meager living, really needing charity and government support to have food and clothing, poverty in America is a reality. For the life circumstances here to be real poverty it does not have to be lived on the level of a Congo villager whose home has a dirt floor, and a hand pumped well drawing unclean water to wash himself. All his neighbors in the village live that way. Poverty in America exists for many people who go out from their slum neighborhoods to a clean work place, or well maintained school only to return to the trash strewn, rat infested slum, drug dealer ravished neighborhood that is their home. They see how the other half lives and ask the question why do I not have that life. What's worse is that many believe it is not possible to have that life because they tried to get out and found only rejection, impossible obstacles, and a stone wall barrier. Alleviation of poverty in America is not a matter of finding the correct economic model, or econometric analysis. It is not a business modes, or even a political science structure. To alleviate poverty the first step is for those who are blind to the fact of its presence to open their eyes (or their hearts) and acknowledge that it exists. If they did that honestly they might be willing to share the wealth of this great nation with more people. They might accept the fact that when everyone acts in their own interest the strong capture all the wealth and the weak are relegated to the slums or welfare support. 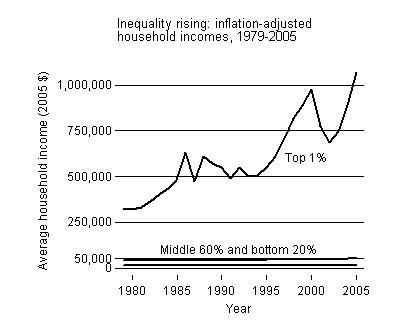 Unfortunately the process is exponential, as the rapidly rising curve of wealth distribution clearly shows. More money goes, even at compounded rates, to those that have money. Deeper depths of poverty goes to those who have the least ability to rise from the depth. It is only when all members of society have the interests of their neighbors in their hearts that poverty can be eradicated. The invisible hand will never accomplish it. The reality of Social Security, Medicare, Medicaid, SNAP, HEAP, plus similar social net programs and other initiatives like the GI Bill following WWII is that such government managed wealth distribution schemes have made living possible for millions of people who might otherwise have not even remained alive as long as they have. "... I would be very surprised if Friedman does not mention the greatest potential of the free market to alleviate poverty—its unmatched capacity .... towards continuously increasing productivity of labor." This might be true if the owners of the industries (managements and financial institutions) were voluntarilly willing to share the wealth commensurate with the increased productivity of labor. The actual statistical information is that the owners have captured a larger and larger share of wealth (derived in part from the improved labor productivity). 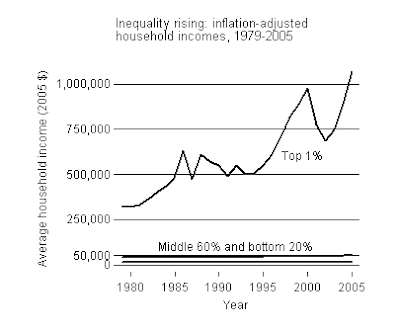 Most discouraging is that they have used the increased wealth to influence legislation to institutionalize poverty. 1. Laws that legitimize restrictions on leveraged bargaining by labor to help gain more equitable wealth distribution (wages that allow a residual for saving). 2. Laws to establish more regressive tax policies that ensure the wealth remains with the highest income demographic. The reality is that markets are not free. They are driven by entrepreneurial innovators who set the price of entry by both the buyers and sellers. Since the sellers have more command of the capital, the buyers i.e. typically the lower income demographic have much less ability to capture increasing share of wealth (savings). This facilitates poverty among the weakest parties in the transactions who can not accumulate wealth (save) since their entire income goes to just support current living conditions. The only offset to the dominant position of the owners is government when it is able to implement wealth distribution measures that move wealth from the upper level to the lower level. There is a need for governmental led social programs, tax policies, and monetary measures to do this because it will not happen left to the invisible hand. The recent shut down has indeed created a negative impact to the country's economy.